Only six weeks ago she was ranked 957th in the world, but Sloane Stephens surged past Madison Keys to win the US Open at Flushing Meadows late on Saturday. Returning from injury, Stephens beat her fellow American and friend Keys 6-3 6-0. 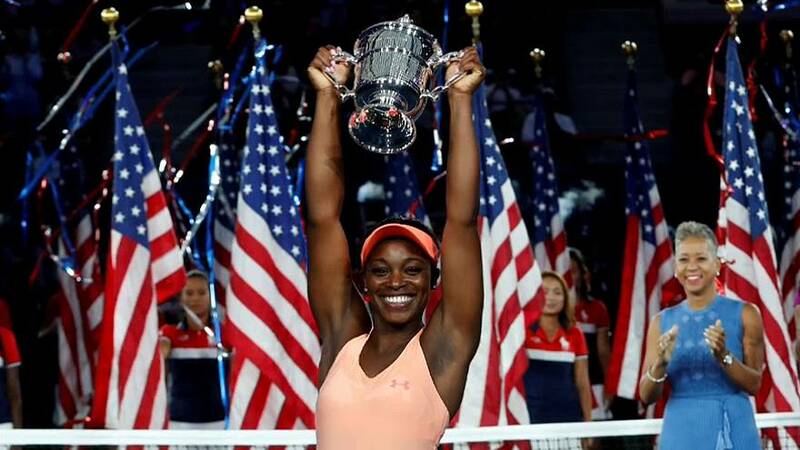 Both women were making their grand slam final debuts, but it took Sloane a mere 61 minutes to clinch victory. She is only the fifth unseeded woman to win a major title in the tennis Open era.